VEI is excited to announce a free webinar in partnership with award-winning author and speaker Danny Rubin. 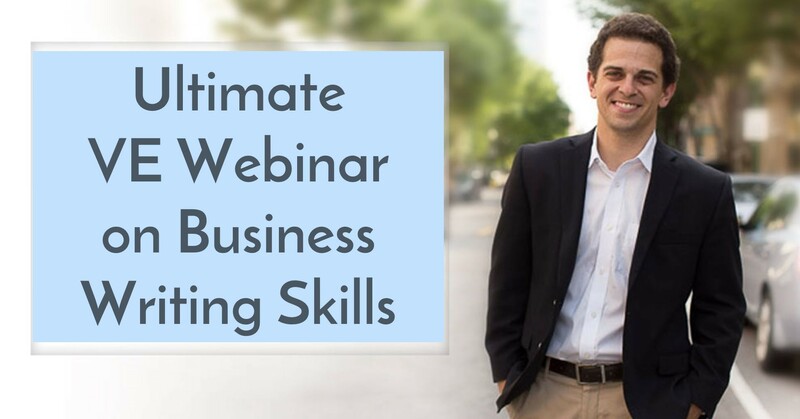 Danny is an award-winning author on business communication skills and will show us simple yet powerful ways to help your business stand out in the competitive marketplace. Danny has helped young professionals at top companies like General Motors, Converse, the Chicago Cubs, Experian and Pandora Radio. FYI…these are lifetime skills that will make you a better communicator today and years down the road. Space is limited – reserve your spot!